Here’s the age-old question: What is the difference between digital and inbound marketing? Well, maybe it can’t be an age-old question when neither digital nor inbound are older than a recent college graduate. Surprisingly, a cone is a great way to differentiate the two. A cone is a simple shape, but it comes in handy for this comparison. A cheerleader’s megaphone, for example, is used to shout messages for everyone to hear. In a nutshell, that’s digital marketing. Take the same cone and turn it ninety degrees and you have something completely different: a funnel. That’s inbound marketing, the device that funnels strangers into leads and eventually customers for your business. But let’s dive deeper into the differences between digital and inbound marketing. Digital marketing is a broader term than its inbound cousin, but actually uses fewer tactics. Digital is more visually-oriented. Visual renovations, logo creation, and graphics usage are all key elements of digital marketing. In short, digital marketing makes things look pretty on the Internet. 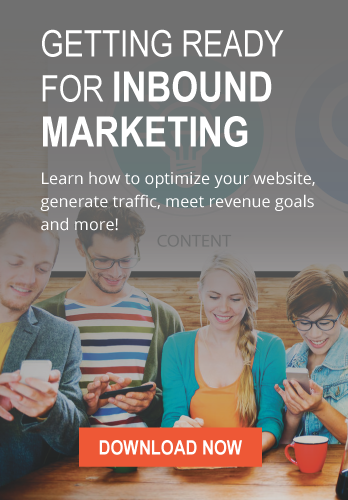 Inbound marketing, on the other hand, is an entire marketing methodology that uses dozens of seamlessly interwoven parts geared toward content branding. And, as luck would have it, digital marketing is one of those components. Branding your content means creating powerful, engaging messages for potential customers to fall in love with that are uniform across multiple platforms. Because inbound goes beyond the scope of digital, it does take more time and expertise to implement a successful inbound marketing strategy. Digital marketing is tactic-heavy. It relies on these tactics on a use-by-use basis. If you’re looking for page banners, paid advertisements, digital brochures, or logo branding, digital has you covered. That’s not to say inbound doesn’t use tactics. It uses a whole lot of them. With inbound, those tactics are usually part of a bigger program instead of being used individually when needed. Inbound marketing programs are crafted to your company’s target persona that offer captivating messages and a set plan for using inbound tactics like blogging, content offers, calls-to-action, and social monitoring — all within a defined set of expectations that can actually be measured. Think of it like this: digital marketing is like dating around, while inbound is a loving relationship. Simply put, digital marketing is closer to an outbound strategy that reaches out to users across all digital platforms. This leads to a large audience reach, but can unfortunately draw in unqualified users. Inbound marketing — wait for it — is an inbound strategy. That means it’s based around potential customers coming to you. Attracting and converting online users organically is the name of the game, usually through user engagement and natural interest. In inbound terms, the goal is to convert strangers to visitors, visitors to leads, leads to customers, and customers to promoters. The short answer is, inbound marketing has better and more proven results than digital marketing. But, because some forms of digital are facets of inbound, it can make the question difficult to answer. Some aspects of digital marketing can be measured fairly well. Like click through rates on email newsletters or paid ads. But the actual Return on Investment (ROI) of these metrics do not go into the same detail that inbound marketing’s metrics can. If your company is currently using a megaphone to cheer and shout, it may be time to reconsider your cone’s angle. A simple rotation, and your new sales funnel will give your company more customers, more efficiently. Have any questions? Give us a shout. We are a marketing firm that specializes in inbound marketing strategies.